Pottery-painting and Decopatch parties are not just for children! They are a great way to have fun with a group of friends, either during normal opening hours or at a private evening ‘do’..
Why not book our private party room for an ‘arty party’? 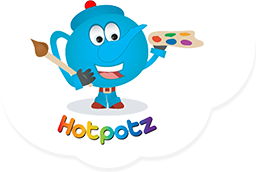 Kids will enjoy getting creative at Hotpotz and the Birthday Boy or Girl will receive their own birthday plate to remember their special day. With prices starting at just £11 per head Hotpotz is great value for your next party. Hotpotz is a great way to celebrate all sorts of events. Anniversary, Hen Party, Baby Showers, Retirement or Leaving parties, whatever the occasion Hotpotz can help to make it memorable and provide a lasting memento for everyone who attends OR from everyone who attends. If you would like to find out the availability of our studio for kids parties or any type of children’s special occasion, please use the form below.